Veterans dedicated to providing support to other veterans in their process of recovering and healing. On Target 4 Veterans is a group of Patriotic Americans, mostly comprised of active duty and retired military personnel with a background in Special Operations. Founder, Michael Paul is a spokesperson for disabled veterans and an adaptive sports athlete who felt it was time to put together his own team. In July of 2011, Michael Paul drove cross-country from California, after doing a promotion video for “Sweat for a Vet” at Johnny G’s home in Santa Barbara, CA. on his way to Ohio to see his family. He stopped to talk to his fellow Delta Company veteran to pitch an idea to bring him along in this journey to help veterans. He agreed to help out with the project and to create a legacy. Since then we have seen things unfold as if it were meant to be. By connecting his network of people and our fellow service members we have served with, to bring us all together for one last mission to help veterans that may need encouragement or mentoring to get them to where they need to be. On Target 4 Veterans board members voluntarily serve our nation's veterans, giving back to those who have made sacrifices for their country, and will leave behind a legacy they can be proud to be a part of. 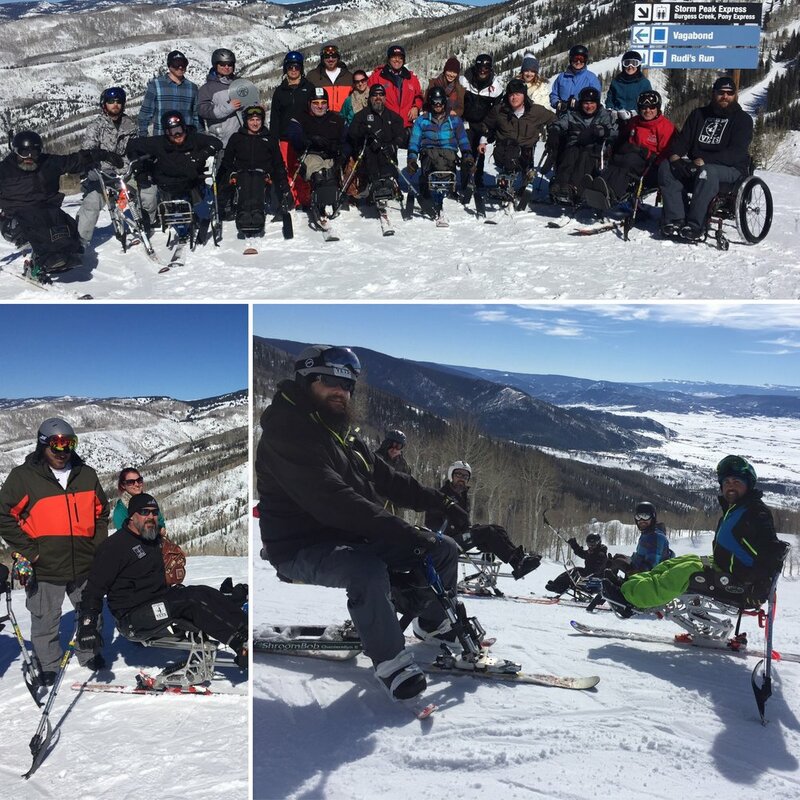 On Target 4 Vets supports veterans through adaptive sports and recreational activities. OT4V's mission helps vets with disabilities and other conditions to develop and use their leisure in ways that enhance their health, functional abilities, independence and quality of life. The benefits of recreation therapy for Veterans is more than just improving physical well being. The therapy can also improve social functioning and help Veterans develop new leisure skills. It can enhance creative expression and break down barriers for cultural expression. A final transition to home and to the community is a goal for many Veterans and recreational therapy helps create the catalyst for successful community re-entry. “OT4V helps support veterans in their process of recovering & healing." In 2013, thanks to local donors in New Bern we hosted our first event and took 70 veterans from all conflicts and military services on a deep sea fishing trip off the NC coast. All this was possible through dedication, patience and fundraising from local support in NC. In 2016, we had a video production company help us out with the Ski Camp video that really showcases what we do for our vets in our Winter Program. In 2017, we teamed up with Restorative Health Services to make a video showcasing our Ax Throwing and softball programs for veterans. In 2018, Sound Cloud interview with H-Train is another media promotion of the OT4V mission and cause. Also 2018, Interview with Company #19 on the Coffee Cup. It's Patriots Day, and we're celebrating with On Target 4 Veterans and we'll learn how digital marketing helps them serve vets who served our country!